The two-stage process that we use involves an in depth analysis to fully understand the current situation and identify current and potential risks. Please click here for more information. Our focus for the month of October is structuring your business correctly, not only for the optimum tax benefit, for operating income and capital gains on sale, but also for commercial reasons such as asset protection and accessing government grants and incentives. Any restructure has implications but fortunately, the federal government has introduced some new initiatives that can be very beneficial and provide substantial savings. As your business grows, your current business structure may no longer be the most appropriate structure. As such, we have made business restructuring our focus for this month because we believe that, by fully understanding the implications of restructuring and taking advantage of the recently announced concessions available, you can bring your business to new heights. October is National Safe Work Month – how well do you know your health and safety obligations? For your chance to win a site safety audit for FREE, please complete the following Quiz provided by Employsure. Navigating employee and workplace requirements can be confusing. Employsure is Australia’s leading workplace relations specialist, working directly with employers to build solid foundations for business success, starting with a fair and safe workplace. Whether it be dealing with a difficult employee, facing a tribunal claim or reviewing your work health and safety, you can rest assured we have you covered. Call Employsure today on 1300 798 990. Chris has an extensive background in strategic tax accounting, business development, and business restructuring. He’s been operating in public practice since 2008 and before that, he operated in the commercial sector at various levels within different organisations. 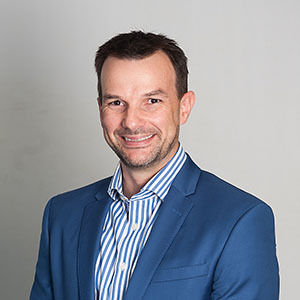 As a Partner, Chris manages the Business Services Department and prioritises helping his clients understand their business capabilities, financial drivers and ways to monitor success and growth. In light of the recent changes to the small business restructure roll-over, Chris believes that all businesses should critically examine their current business structure and evaluate whether it provides the best possible outcome for their business. Outside of work, Chris enjoys an active life of cycling, running and participating in fundraising events like the MS Brissie and Bay 100km bike ride. Read Chris’ latest Blog here. Employers should now be aware that the Australian Taxation Office has updated its tax withholding tables. Please ensure that any payment to employees after the effective date above include the correct tax withholding. Please ensure your software is up to date from the effective date, as New Tax Withholding Rates now apply. If you are calculating your tax withholding manually, please visit the ATO website to view the Tax Withheld Calculator and refer to the new withholding tables. Advivo is excited to share our most recent Case Study, for work completed for Xtra Insights! Xtra Insights is a highly innovative company that provides a high standard of research, strategic methodology and advance technology. Xtra Insights has been using Advivo for business management and corporate advisory for 12 months now, and Advivo has helped Xtra Insights grow and improve the way the company does business. To read more, click here. The following topic is not one that people like to talk about, however, we have seen a few clients come across this issue and thought it was timely to discuss this topic.